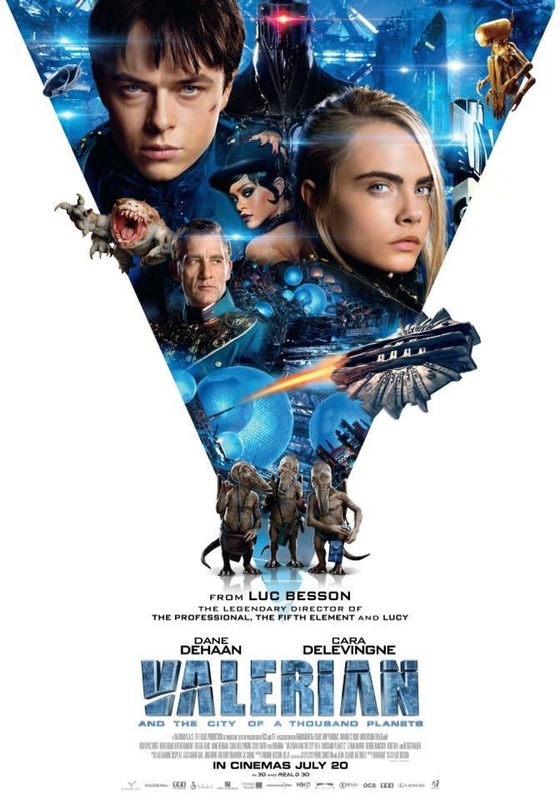 The trailer for Luc Besson’s Valerian and the City of a Thousand Planets is almost impossibly gorgeous, but seeing that Besson’s was also the director of The Fifth Element that was never an aspect of his filmmaking I was concerned about. Never having read the comic the movie is based upon, I will just have Besson’s writing to guide me through the movie, which concerns me somewhat. It’s not that Besson is a terrible writer, it’s that he doesn’t typically bring the gravitas, or in some instances, the originality a story might require. And then there’re the two leads. James DeHaan is a good actor, though he looks a bit ‘young’ in the trailer (this may have more to do with DeHaan being a relatively slight person in general, but nothing about his antics in the trailers inspires confidence to me). Then there’s the seemingly perpetual scowl of disapproval worn by Cara Delevingne in EVERY trailer for the movie. Maybe they have a Han Solo/Princess Leia–thing going on, or that what we’re seeing in the trailers reflects exactly the relationship between both characters in the comic, but if that’s the case then we’re in for a particularly unpleasant ride, because it’s really unappealing. Posted in actors, directors, genre, Movies, Trailer Park, upcoming.Tagged Cara Delevingne, James DeHaan, Luc Besson, The Fifth Element.